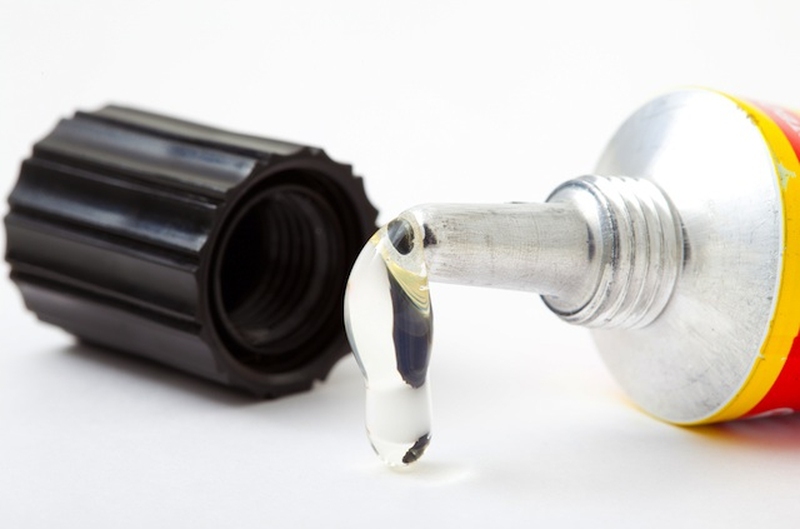 Super glue is one of those items that everyone has in their home because it can be used for multiple purposes around the home and is often the go-to product that people use when there is a break or a hole in something or the like. People know that if they use super glue, the problem is going to be fixed since super glue is so strong. However, the strength of super glue has caused many problems for people who find that they have accidentally gotten this on their skin or glued an object to something else. When this happens, they really need to know how to remove super glue. When the glue that is on the skin is relatively thick, letting this dry and then peeling it off the skin has worked for many. However, if you start to feel pain or burning, stop peeling immediately. In order to remove the super glue, utilize nail polish remover that is acetone based. This is a method that works great. But if you have sensitive skin, it may not be the method for you. Wash and dry the hands, then apply some of the acetone to the skin that has been exposed to super glue. Then let this air dry and try to peel the glue off, as the acetone can loosen this. You can use a nail file in order to get the super glue off, but you must be careful that you are not removing the skin with it. If the super glue is still on the skin, once the acetone dries, it will turn white and start to peel on its own in time. 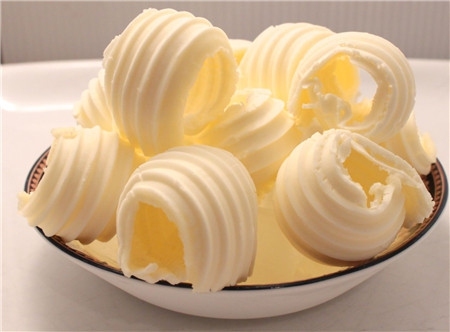 Butter or margarine for most people is a great answer in how to remove super glue. Rubbing this on the figure helps to loosen the glue and repeat a few times until you can simply peel off the dried glue. 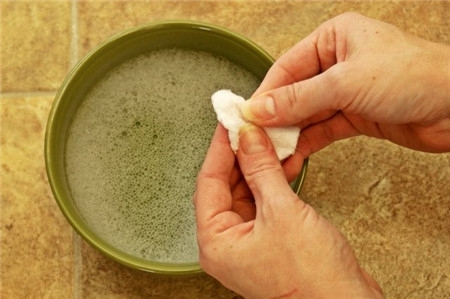 Mix some laundry detergent with hot water, soak and rub the area of the skin that has the super glue. In most cases, the laundry detergent helps to remove the glue on the person with little damage to the skin. 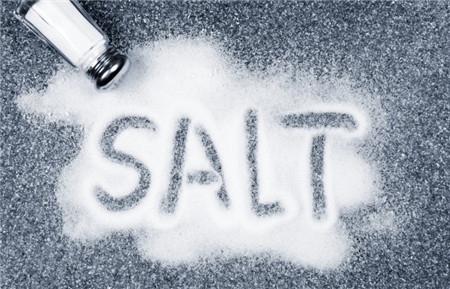 Put a little salt onto the problem area, and then add some hot water to make this into a paste. Afterwards, rub the problem area with the salt and water, and continue to do this, adding more water. You will find that the salt acts as a scrub to remove the dried glue. After washing the hands in warm soapy water, add petroleum jelly onto the skin that is affected. Then, taking a nail file, start to rub the skin, adding more petroleum jelly if needed. This will loosen the glue and it will come right off. WD40 helps to loosen the dried super glue. 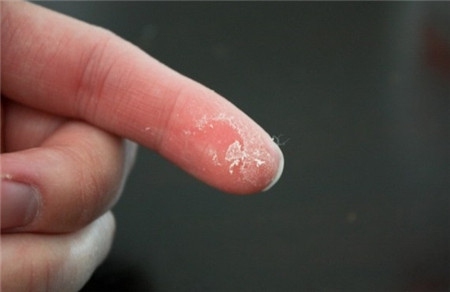 To remove super glue, you can mix equal part of acetone and WD40 and spray on the affected skin. You can also add petroleum jelly to the mixture and make it stay on the affected area. 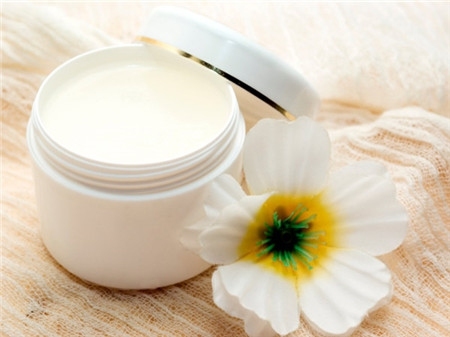 Soak a soft cloth in warm water, apply this to the eyelid where the super glue is located and gently bathe this. 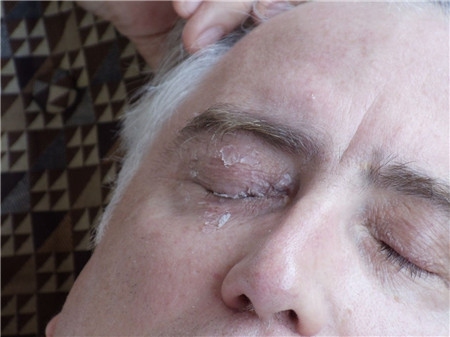 After doing so, apply a patch to the eye, as it will take a few days for the super to wear off. If the super glue is in the eye, allow your tears to flow freely to help dislodge this. You can use a warm water to rinse it out the eye if needed. See an eye doctor soon, as the eye is delicate and getting super glue in the eye can be serious and causes lasting damage. Get a bowl of warm water and immediately immerse your lips into the water. Allow the saliva to build up in your mouth and push this against your lips. Once the glue is wet from the outside and inside, if possible, carefully start to peel this off of the lips. You can start to eat and drink as normal, as the saliva is going to help to remove any residue left behind, just be careful not to ingest any of this residue. When attempting to remove super glue from glass, the good news is that super glue does not stick to glass very well. This means that in order to remove it, often, all you have to do is to start peeling this away with your hand or a sharp object. 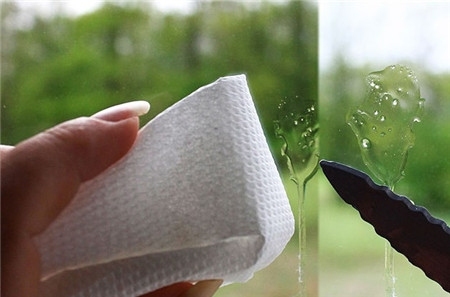 You may have to soak the glass in warm water to loosen it a bit, but there should be no issues with removal. Acetone is great for super glue removal from most surfaces, but it can cause the surface to become clouded or discolored. The best course of action is to try to peel this away on your own first. You can then try acetone, but be warned it could damage the area. If you are not worried about damage, then you can also sand the glue off with some fine grit sand paper. If you do this, be sure to use small, circular motions to remove the glue.